Known as meadow of flowers but home to Snow in winters from December till April. Is located at the altitude ranging from 8000 ft till 11000 ft and slopes varying between 8700 ft and 10500 ft. 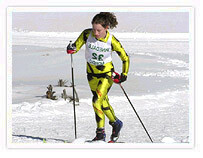 Despite the modern techniques of skiing, where chances of injury have been considerably reduced, minor accisents do occur. CH does not tahe resposnsibility of any such mishap. 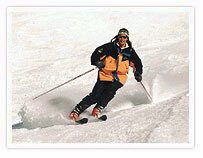 Participants are also advised to insure themselves against any accidents before joining the ski course. This morning transfer to Airport for your flight to Srinagar. On arrival drive 45 km to Gulmarg. On arrival transfer to the resort . 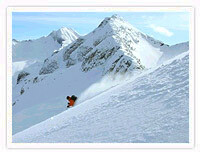 Explore the area & know about your slopes & lifts. Stay over nights. This morning after breakfast your thrill starts with your skiing skills. After breakfast drive back to Srinagar for your flight to Delhi. On arrival at Delhi transfer to hotel later take a tour of Delhi before you leave for Airport or alternately drive to Agra ( 200 km ) for overnight stay to visit Taj & fort. The final cost can be forwarded once we know the number of days, number of participants, mode of transport, gateway city options etc.